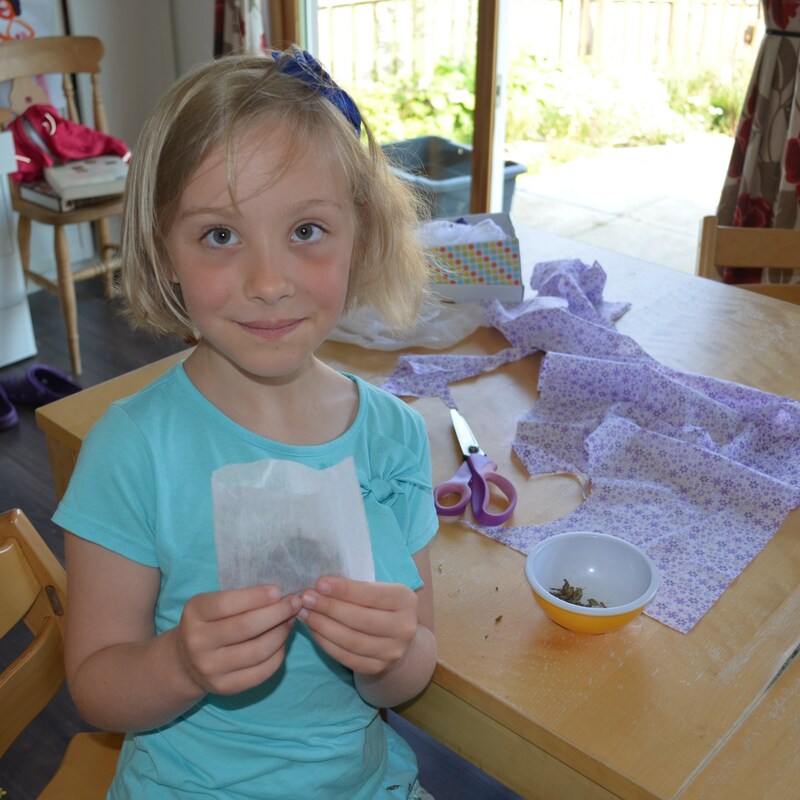 I saw Midi pull the flowery parts off the nearly-dried lavender and had an idea – why not make super-simple flower sachets? I have a ton of fabric, lace, ribbon, pinking shears and flowers. Perfect! First I got her to draw around an upturned cereal bowl with a biro on some fabric. She then cut the circle out with pinking shears. While she did that, I got some single-sided interfacing, folded it in half, and cut out a square. I used the edge of a hot iron to fuse 2 sides of it. Midi poured in her petals and seeds and I fused the remaining open side shut with the iron. Ta-da! The fastest, most secure little petal sachet EVER! 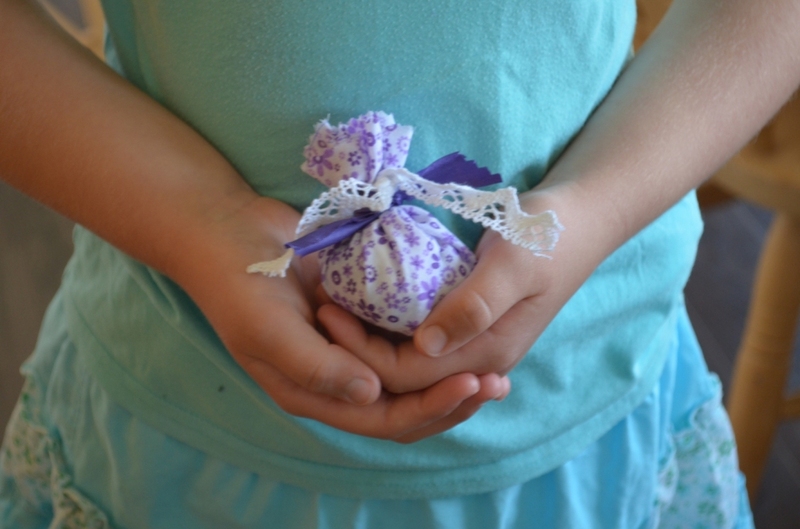 Then Midi scooped up her fabric circle, stuffed the petal sachet inside, then used ribbon and lace to tie the circle together into a little bag. It’s now under her pillow. Mini and Maxi made one each, too: once Mini managed to peel her nose off hers, she decided to use hers to air the stuffy living room whereas Maxi’s is tucked into a stuffed toy. Ah well – super-mega crafting brownie points for me today from the girls, and it took literally 60 seconds to tidy up afterwards. Win! 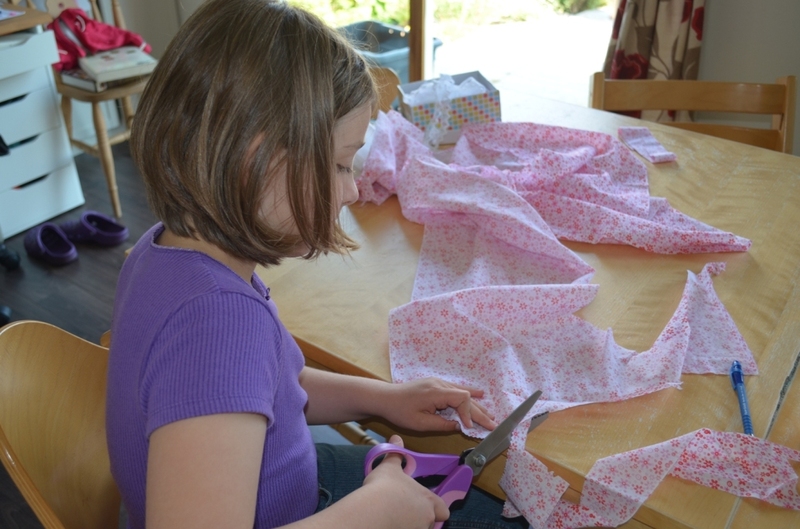 This entry was posted in crafting and tagged children, easy, fabric crafting, flower crafting, lavender bags, quick by GrumpyOldTrout. Bookmark the permalink.